For the February workshop, we will be looking at practice methods, some short folk tunes, and a honkyoku piece (Sanya Sugagaki). This entry was posted in Workshops and events and tagged events and workshops on February 17, 2019 by Lindsay. The November workshop will be split into two sessions. 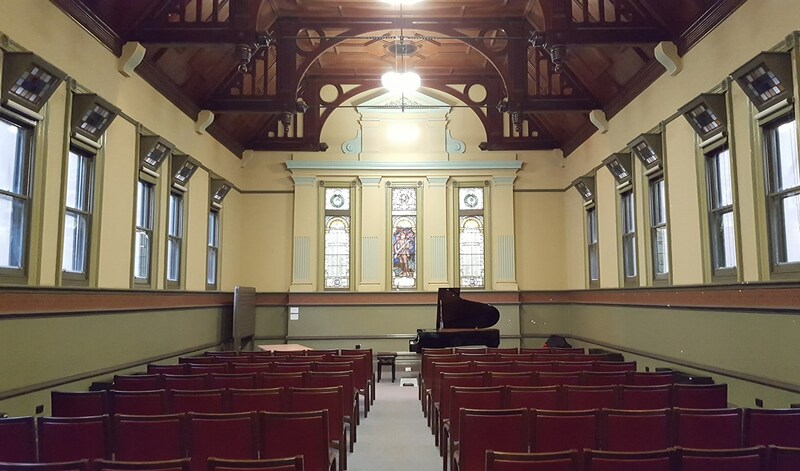 The Beginners session will run from 11:00 – 12:00, and the Int/Adv session from 15:00 – 17:30. Any beginners who join the first session are also welcome to attend the second session. You can play along, or simply observe. For the November workshop, we will be looking at practice methods, simple folk tunes, and a honkyoku piece (Sanya Sugagaki). 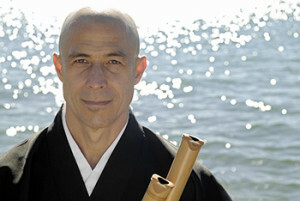 He holds a Masters degree in shakuhachi performance from Tokyo Geidai (Tokyo University of the Arts), and is a shihan of the Chikushinkai/KSK. This entry was posted in Uncategorized and tagged events and workshops on July 10, 2018 by Lindsay. The Australian Shakuhachi Society invites you to a one-day workshop to experience the art and sound of the Shakuhachi – the Japanese bamboo flute. 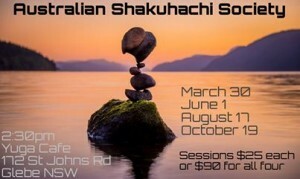 The workshop will be taught by Grand Master Riley Lee. In addition to teaching a honkyoku piece, Riley will also lead us through breathing and sound production techniques. The workshop will be divided into morning and afternoon sessions, with the first session starting at 10.00 am and breaking for lunch at 12.00 pm. The workshop will resume for the afternoon session at 12.30 pm, and the day will conclude at 2.30 pm. Breathing exercises, sound production, and honkyoku instruction will be divided between the sessions. As the lunch break is not very long, and not many shops in the vicinity of the workshop are open on Sundays, we will have optional bento boxes delivered. Of course, you can bring your own lunch. Bottled water will be provided. 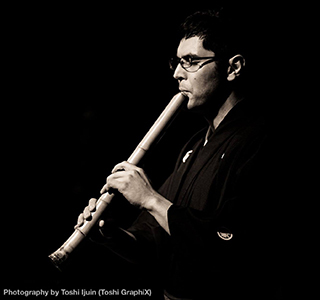 There will be a number of plastic Yuu shakuhachi available for use by absolute beginners on the day; please specify whether you need to borrow a flute when filling out your registration form. 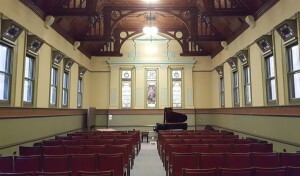 The Gryphon Gallery, 1888 Building, University of Melbourne Parkville Campus. The nearest tram stop is on Swanston St, Carlton. Trams running along Royal Parade, Parkville, can also be used (approx. five minute walk). For detailed route and timetable information, please visit Yarra Trams. Paid parking is available at the university. Free or cheap street parking may also be available nearby. This entry was posted in Workshops and events on January 17, 2017 by Lindsay. 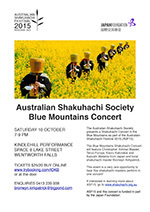 There are two extra concerts in Sydney and the Blue Mountains to note in your diary, featuring performers from ASF15. This entry was posted in Workshops and events on August 2, 2015 by Lindsay.